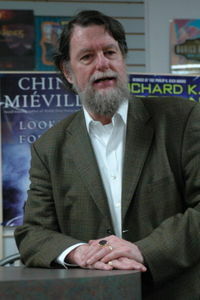 Robert Jordan, bestselling fantasy author of The Wheel of Time series, died on September 16th after a battle with cardiac amyloidosis. Born James Oliver Rigney, in Charleston, South Carolina, Jordan was a decorated Vietnam War veteran, a graduate in physics from The Citadel, and worked as a nuclear engineer for the Navy. He began writing in 1977 -- historical novels at first, before turning to what would become an eleven volume fantasy series featuring the rise of Rand al'Thor, a heroic champion against universal evil. Jordan was working on the final volume at the time of his death. At Patrick and Teresa Nielsen Hayden's Making Light blog, folks have been writing in their memories of Jordan, along with condolences. Dragonmount, Jordon's official blog site has been hammered with so many fans and authors writing in that it is near to impossible to get on the site. Terri Windling and I would also like to extend our sincere condolences to Robert's wife Harriet MacDougal, his family, and his many friends. He will be missed in our community. Updated: Melissa Craib of TarValon.net has posted information about the formation of Robert Jordan Memorial Forum. 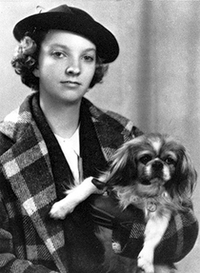 Madeleine L'Engle died this week, at age 88. She was the author of over 60 books, including the much-loved children's fantasy classic A Wrinkle in Time. Rejected by 26 publishers, the book was finally published by Farrar, Straus, & Giroux in 1963, and won the prestigious Newbery Award. By 2004 it was in its 67th printing and had sold more than 6 million copies. The New York Times has published an obituary discussing the author's books and life. (Did you know, for example, that she was the librarian and writer-in-residence at St. John the Divine in New York City? Or that her husband was an actor famed for his role on the soap opera All My Childen?) 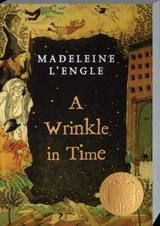 For more information, visit the Madeleine L'Engle and A Wrinkle in Time websites.